Women commit to a 12-month healing journey through Strong Women Talking. “I’ve witnessed domestic and family violence my whole life,” says Sono Leone, her voice soft, slow, calm – but strong. Leone, an Aboriginal woman, has a story that is disturbingly familiar in our society. “Violence is not a part of our culture but, because of the impacts of colonisation, violence has become so normalised in our families,” she tells Eternity. In fact, Indigenous women are up to 35 times more likely to experience domestic and family violence than non-Indigenous Australian women, according to the National Plan to Reduce Violence against Women and their Children 2010–2022. Leone came into a saving relationship with Jesus Christ, which later gave her the impetus to begin to break the cycle of violence in her life. “I got to an age where I woke up one day and realised … that this isn’t what God intended for me,” she says. 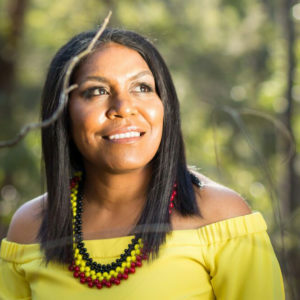 Today, Leone describes herself as an overcomer, and now she is using her experience to help other Aboriginal and Torres Strait Islander women. In October last year, Leone founded Strong Women Talking – or Marigurim Mubi Yangu Aboriginal and Torres Strait Islanders Corporation – in Brisbane. She believes a vision from God called her to create Strong Women Talking. Leone quit her public service job, where she had worked since the age of 19, and appointed five Aboriginal Christian women as board directors for the corporation. Under the framework of “educate, equip, empower”, Strong Women Talking began running its first 12-month healing journey for Aboriginal and Torres Strait Islander women. Now around 30 women from the greater Brisbane region have completed the program. While participants are screened beforehand to ensure they are not at immediate risk of violence, all still carry the deep scars of trauma. 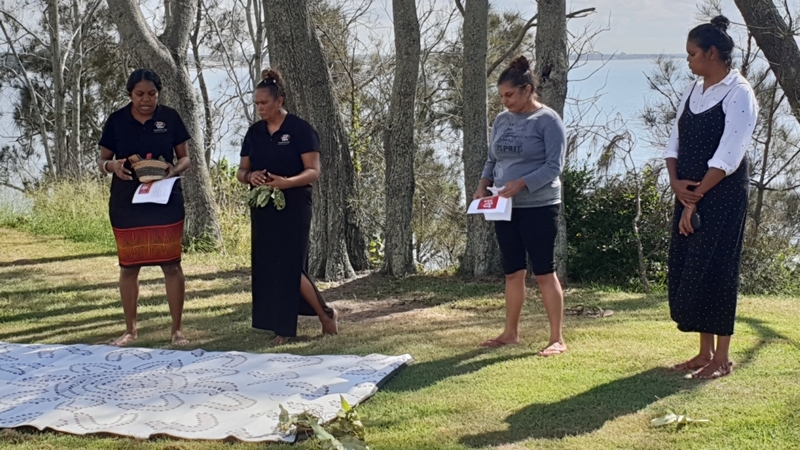 The healing journey program begins with a cleansing ceremony, where “elders affirm the women, by saying a prayer over them, sharing a Scripture or whatever the Lord puts on the elders’ heart”, before ceremonial washing. Following this, the women paint their bodies with ochre and say a pledge as part of a commitment ceremony. Over eight weekly workshops – alternating in location between a classroom and “on country”– the women undertake an education program about forms of abuse, what healthy relationships look like and strategies for dealing with the impacts of trauma, including body awareness and breathing exercises. “We are always going through sorry business – always, always. We’re always living in grief and shock,” laments Leone. When the weekly workshops are completed, program participants are invited to attend ten monthly workshops to maintain an ongoing network to help them through the healing journey. The workshops include talks by guest speakers and “strength-based activities”, like weaving, yarning circles, journaling, narrative and art therapy. At the end of the 12-month program, the women evaluate its success for them. Over 90% of participants so far said they doubled their knowledge about what abuse is and what healthy relationships look like. Importantly, many participants have also practically applied this knowledge. “Some leave abusive partners or put better practises in place in their relationship to make sure they are safe, or they haven’t gone back to an abusive relationship,” says Leone. The women are also given the opportunity to connect with their creator God. “Every element of the workshops and every part of the educational process, whether we’re talking about the forms of abuse or the cycle of violence, can all be brought back to Scripture,” Leone explains. In the coming year, Leone hopes to increase the number of referrals they receive by forming partnerships with government and non-government organisations (such as domestic violence shelters). She would also like to expand the “Big Sister, Little Sister” educational program that has been trialled in one school so far. 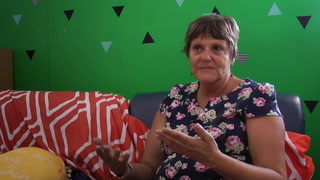 Older Aboriginal women teach girls how to identify and deal with domestic and family violence. 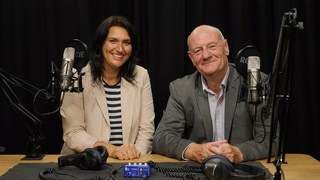 And she also hopes to run “open thinking” workshops in organisations to help create cultural understanding about the historical causes behind domestic and family violence in Aboriginal and Torres Strait Islander communities. The only thing limiting the implementation of these ideas is money. So far, Strong Women Talking has been run on a handful of small grants, and is in desperate need of funding to continue its programmes. Funding would also allow Leone to fully realise her vision for a Strong Women Talking drop-in centre with a community garden (as they are currently confined to borrowed office space). The money would also help the organisation to provide employment to Indigenous women as facilitators and service providers (such as caterers, graphic designers and administrators), and perhaps even enable the set-up of a café where women from the programme could be trained in hospitality. Leone knows firsthand just how much work, time and money is required in the healing journey of each person affected by domestic and family violence. “It’s been a long journey for me, and I’m still on my healing journey because I went through so much trauma in my life,” she says. “God has restored my family now, with my husband of my three children. That took a lot of separation and spending our own time with God, intense counselling and educating ourselves around violence.